Main objective of this report is to analysis Credit worthiness analysis of the potential borrowers of IFIC Bank Limited. Other objectives are to know about IFIC Bank Limited’s Credit Collection Department by using bank’s current online services and to know overall marketing of the Bank product. Report also focus on to identify the customer servicing systems of the Bank and to know existing customers satisfaction. Finally analysis sales strategies of credit collection department and find out the customers recommendation for improving the Banking service. Loans comprise the most important asset as well as the primary source of earning for the banking financial institutions. On the other hand, this (loan) is also the major source of risk for the bank management. A prudent bank management should always try to make an appropriate balance between its return and risk involved with the loan portfolio. An unregulated banking financial institution might be fraught with unmanageable risks for the purpose of maximizing its potential return. In such a situation, the banking financial institutions might find itself in serious financial distress instead of improving its financial health. Consequently, not only the depositors but also the general shareholders will be deprived of their money from the bank. The deterioration of loan quality will also affect the intermediation efficiency of the financial institutions and thus the economic growth process of the country. This establishes the fact that banks should provide increasing emphasis on various analytical tools and techniques for screening proposals and loan decision taking. Credit Worthiness Analysis is one of the most important activities before sanctioning any credit to a new borrower as well as existing borrower to avoid any default risk and for improving the operational efficiency of nationalized and private sector commercial banks. To gain practical job experiences and view the application of theoretical knowledge in the real life situation. To know about IFIC Bank Limited and it’s general banking system. To know about the IFIC Bank Limited’s business process. To know overall marketing of the Bank product. To identify the customer servicing systems of the Bank. To detect the employees capability to provide quality service. To know existing customers satisfaction. To find out the customer attitudes and response to the service provided by the Bank. To understand and classify the customer’s nature and behavior. Sales strategies of credit collection department. To find out the customers recommendation for improving the Banking service. Selected Type of the Study. Literary, a theory is a conceptual scheme based on foundational statements called axioms, which are assumed to be true. In case of this report I designed my theoretical framework by the help of “foreign Exchange Regulations Act Volume1”, of several manuals or brochures published by IFIC. Practical work Experiences in the different desks of the department of the branch covered. Relevant file study as provided by the offers concerned. Discussion with my supervising teacher and manager. Information regarding the background history of IFIC and its services that are currently taking place in our country are collected form the IFIC’s website. Annual report of IFIC Bank. Ltd. Various books, articles regarding general banking function foreign Exchange operation and credit police. Different procedure mutual published by IFIC. Different circular sent by head office of IFIC and Bangladesh Bank. 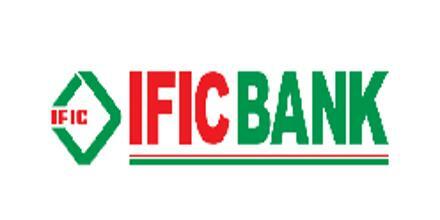 IFIC bank is regarded as the pioneer in the private sector banking of Bangladesh. IFIC Bank is stated its journey with the noble vision of diversifying banking activates into different areas of client services. The bank stated its operation way back from 23rd March, 1983. Since then for 20 years this bank is operating its activities though out the country in order to strengthen the economy of the country. In every sector of banking activities IFIC is become the success bank. Good customer service, investment and t50he industries employees make it possible for IFIC to be one of the leading banking companies of the country. The board of directors of the bank consists if the finest intellects of the country’s business and extensive experience acquires over the years guided IFIC to a great success and fresher altitude. The success of IFIC is largely credited to its friendly, cooperative approach, understanding the social banking needs of each and every client and concern for the benefit and welfare. From the beginning, the prime objective of IFIC was to increase capitalization, to maintain disciplined growth and high corporate ethics standard and enhance the health of shareholders. Now IFIC is operating i0ts activities over the country with 110 branches. This branch is situated in most business points of the country. IFIC is the leading investors in garment sectors of Bangladesh. This helped the people to employ. The country also gets a lot of foreign currency from foreign countries. In 1996 IFIC acquired equity and management of Nepal Arab Bank Ltd. And in 1997 IFIC opened a representative office in Dubai. With a strong sense of all business area of commercial banking, IFIC could foresee tremendous growth in home bound remittance from Bangladeshi expatriates in USA, UK, and Meddle East and in different countries of the world. Banking is not only a profit-oriented commercial institution but it has a public base and social commitment. Admitting this true IFIC is going on with its diversified banking activities. IFIC introduced monthly saving Scheme, Special Deposit Scheme, Consumer’s credit scheme and savings Insurance Scheme etc. to combine the people of lower and middle-income group. A term of highly qualified and experienced professionals headed by the managing director of the bank who has vast banking experience operates bank and at the top there is an efficient board of directors for making policies. The main task of the IFIC is to accept deposited from various customers though various accounts. Provide loans on east term and condition. It transfer money by Demand Draft (DD), pay order (PO), and telegraphic transfer. Etc. The bank is doing the transaction of bill of exchange, cheque etc. On behalf of the client. Assists in the foreign exchange by issuing letter of credit. Above all IFIC helps the business man financially by giving discount facility for bill of exchange and by providing the facility of letter of guarantee. Give the clients and shareholders the highest facilities. By increasing working capacity and capability, the utmost use of employees. To build a strong base of capital for the country. To invent the technique of getting proper increment. To create friendly environment to give better customer service. To broaden the activities of bank both international and local sectors to help the country’s economic development. Highest use of data Technology and proper planning of future banking activities. Giving economic service in social and business sectors to be the leader of the banking sectors and develop it. IFIC bank limited recorded a good operating result in 2007. In spite of the sluggish economic performance, the bank could maintain the continuity of its march towards progress in profit, deposit, credit, foreign exchange and foreign trade business. It maintained its lead as the major financier to ready-made garments sector. The bank also financed in other sector, such as leather, tea, shrimp culture, etc. The bank remained as sound as before with an asset of Tk. 56520.70 million as on 31.12.2007. The authorized capital of the bank was enhanced to Tk. 2450.00 million in the year 2007. Reserve of the bank stood at Tk. 1,208.20 million in December 2007 as against Tk. 2468.79 million in show 2006 showing an increase of 57.13%. The bank continue to extend credit facilities to trade and commerce, export, import, leather, shrimp culture, real estate, and other productive and priority sectors within the policy guidelines of the bank and also Bangladesh bank. The total amount of credit of the bank stood at Tk. 36,475.74 million as on December 31, 2007 as against Tk. 32,709.68 million as on December 31, 2006. The CAMEL rating system provides a general frame work for evaluating and assimilating all significant financial operational and compliance factors in order to assign a seminary or composite supervisory rating to each regulated commercial bank. The purpose of the rating system is to effect in a comprehensive and uniform fashion on institutions financial condition, compliance with laws and regulations and overall operating soundness. In addition it serves as a useful tool for the standard of a financial institution. It is the other operator to assess the grade of banks. From the quantitative analysis it is found that the average rating of IFIC is 2.24 which is between 1.5 to 2.49. According to standard rating the rating of those banking institution having this range is 2, i.e., the rating is satisfactory. IFIC bank has already established a favorable reputation in the banking industry of the country. It is one of the leading private sector commercial bank in Bangladesh. The bank has already shown a tremendous growth in the profits and deposits sector. IFIC Bank Ltd. has a long-term reputation in the banking industry as it is one of the oldest players here. So, their enduring good will in the field works as a vital strength. IFIC bank has an interactive corporate culture. The working environment is very friendly, interactive and communicate provides as a great motivation factor among the potential customer. It has high commitment of customer, qualified and experienced Human Resource. It has sophisticated automated banking system in most of its branches which foster the overall banking activity. Lack of motivation among the workers. Heavy dependency on Head Office in decision making sometimes slower the work process. Lack of extrinsic and intrinsic reward & incentives for the employees from management sometimes result to job burn out. High dependency on ‘word of mouth’ strategy instead of obtaining any marketing strategy. Absence of teamwork between branches. Other unexplored district where branches can be set up. High awareness among all level of people to deposit money in the banks. Increasing the demand of customer finance. Similar type of retail banking products, such as insurance company, stock exchange, financial institution etc. Frequent changes in rules and regulations from Bangladesh Bank. Customer awareness of pricing and service. The basic functions of bank are deposit extraction and credit extension. Credit is the hub of banking business. It helps this kind of organizations to earn more than 50% of the total revenue. Managing credit operation, thus, is the crying need for any bank. In case of failure in credit management, a bank may face extinction. It is, therefore, necessary that a bank has a proper credit profile that guides the credit operation of the bank in an effective manner. For proper management of credit each and every bank follows the profile for smooth approval, direction, monitoring and review of lending operation. A credit policy includes all rules relating to loans and advances made by the bank to the borrowers. It includes types of credit extended by banks, method of judging the credit worthiness of borrowers, the collateral or securities that are accepted by the banks and so on. This policy guidelines refer to all credit facilities extended to customers including placement of funds on the inter bank market or other transactions with financial institutions. IFIC Bank Limited Credit policy contains the views of total macro-economic development of the country as a whole by way of providing financial support to the Trade, Commerce and Industry. Throughout its credit operation IFICBL goes to every possible corner corners of the society. They are financing large and medium scale business house and industry. At the same time, they also takes care entrepreneur through its operation of Lease Finance and some Micro Credit, Small Loan Scheme etc. As a part of its Credit Policy IFICBL through its credit operation maintains commitment for social welfare. The bank is coming up with a scheme where the under privileged children will be given financial support for education and self-employment. Charging of interest is flexible depending on the proposal and the customer. It takes care in maintaining proper mix of short medium and long term finance for a period not exceeding 5 years. IFICBL puts emphasis on the customers, ie, the man and business not on the security in selecting borrowers. It takes care of diversity in credit portfolio. Sound principle of lending is obvious to avoid loan default tendency and risk elements to safeguard of public money as well as business of a bank. So, there must be a principle of advance and efforts should be made to make it a sound one for which in depth study must be made on the following points by this bank. Is it hopeful that the borrower will repay the loan? Whether loan should be given only in private sector or also in government sector as well. Whether only short term and mid term loan will be considered or long term will also be considered? Whether loan will be extended to trading sector only or industrial sector will also be considered. Safety of Fund: Safety means the assurance of repayment of distributed loans. This depends mainly on integrity, business behavior, reputation, past experience in the particular line of business, financial solvency, quantum of own equity in business, capability to run business efficiently, capacity and willingness to repay the loan etc. of the loan. Security: It must be ensured that repayment of the loan is secured and for this purpose manager must retain security against loan to fall back upon incase of borrower’s default. The securities must possess required basic qualities such as possession, title deed, parches etc. Liquidity: The borrower should have liquid assets so that he can adjust liability on demand and as much as possible loan itself should be quasi liquid so that it can be realized on demand in case of need. Purpose: Purpose of a loan should be production, development and economic benefit oriented. Profitability: This is applicable both for bank and the borrower. Diversification: Diversification means to distribute the loan to a large number of borrowers rather to a small number of borrowers. This will increase the services of the bank and it will reduce the risk of loan recovery. National Interest: Nothing can be done legally if it jeopardizes national interest in any way. Credit restriction imposed by Central Bank: At the time of sanctioning loan, the commercial banks must have to follow the restrictions that are imposed by Bangladesh Bank from time to time. Financial Data Analysis: The credit manager has to compare financial statements of at least three years. For this s/he takes help of different ratios such as liquidity ratio, solvency ratio, profitability ratio and activity ratio. S/he also needs to examine bank account statement of the applicant very keenly. In addition to analysis, the manager should visit the business concern to get a true picture of it. Industry Analysis: In this part, the manager is required to study the business behavior, which includes market demand, competitors and government barriers. Lending Risk Analysis: It is a systematic and structural way to assess lending risk, which covers all the factors described above. Here a form has to be completed by the lending officer. If lending risk is found to be low, financing can be done and vice versa. Finally based on the above information provided by the loan applicant and after analyzing all the information and information provided by Credit Information Bureau. (CIB) a credit committee of a bank takes the lending decision. Lending of money to different kinds of borrowers is one of the most important functions of IFIC Bank Limited. Major amount of income of this Bank comes from its lending. IFIC makes advances to different sectors for different purposes, such as financing in trade and commerce, imports and exports, industries, transport, house building, agriculture etc. When an advance is made in a lump sum repayable either in fixed monthly installment or in lump sum and no subsequent debit is ordinarily allowed except by way of interest, incidental charges, etc it is called a loan. The whole amount of loan is debited to the customers name on a loan account to be opened in the ledger and is paid to the borrower either in cash on by way of credit to his current/ savings account. It is given against Personal guarantee, hypothecation of goods and land & building. Credit Rating Information and Services Limited (CRISL) has assigned A (pronounced as single A) rating in the long term and ST – 2 in the short term to International Finance Investment and Commerce (IFIC) Bank Limited for the year 2008. The above rating has been given in consideration of the Bank’s good fundamentals such as good capital adequacy, good financial performance, sound liquidity position, increasing trend in market share and decreasing trend in NPL. However, the above has been constrained, to some extent, by high loan deposit ratio, decline in internal capital generation ratio and dependence on term deposits. Bank/ Financial Institutions rated in this category are adjudged to offer adequate safety for timely repayment of financial obligations. This level of rating indicates a corporate entity with an adequate credit profile. Risk factors are more variable and greater in periods of economic stress than those rated in the higher categories. The short term rating indicates high certainty of timely payment. Liquidity factors are strong supported by good fundamentals and the risk factors are very small. Credit Rating Information and Services Limited (CRISL) also viewed the bank with “stable outlook” on the basis of its consistent increase in operational efficiency. Mentionable that the above ratings were based on the position of the bank as of December 31, 2008 and the date of rating by CRISL was June 29, 2009. Since the beginning of its journey as a commercial bank in 1983, IFIC Bank has been giving great emphasis on the adoption of modern technology. It became the pioneer in the field of automation by introducing computerized branch banking right in the same year. Subsequently, all the branches were brought under similar automated platforms with upgraded software applications to offer all the critical banking features. At present all 65 domestic branches are fully computerized under networked environment. The Bank has taken up a new project with Misys International Banking System Inc. (UK) to further upgrade its banking operation to state-of-art world class on-line banking solutions to provide faster and even more convenient centralized services to the clients. Besides, the Bank is also operating fully on-line Automated Teller Machine (ATM) services under the banner Q-Cash at a number of locations in Dhaka and Chittagong. The ATM facilities are available to the customers at Q-Cash booth. Since the importance of Web presence in the Internet is absolutely critical, IFIC Web Site www.ificbankbd.com has long been launched for the convenience of the customers, where all the activities and information are constantly being posted and updated. A Central Mailing System is operational at the Head Office to let the customers have direct electronic access to the selected staff. Bank advances loans for short, medium and long terms. The term of the loan is determined on the basis of gestation period of a project and generation of income by use of the loan. SOD work Order,PLS,CCS,Car Loan,Doctors Credit Scheme,Small Loan General Loan, House Building Loan, Staff Loan , Lease Finance. A borrower should be legally competent to enter into a contract, as borrowing is a contract between the lender and the borrower. Minors, lunatics, drunkards and insolvents cannot enter into a valid contract and cannot, therefore, be entertained as borrowers. Before entertaining an application for loans and advances, banker should verily borrowers’ capacity to contract and, his power to borrow, so as to effectively charge the security offered as a cover for the advances. The management of the institution as well as their supervising authority i.e. the Central Bank evaluates the assets of the institution keeping in view the aforesaid aspects. This evaluation at stipulated intervals is called “Classification of Advances”. It is in fact, placing all loans and advances under pre-determined different heads/ classes based on the depth of risk each and every loan has been exposed to and to bring discipline in financial sector so far risk elements concerned in credit portfolio of banks. Substandard: A loan value of which is impaired by evidence that the borrower is unable to repay but where there is a reasonable prospect that the loan’s condition can be improved is considered as substandard. Doubtful: A loan is doubtful when its value is impaired by evidence that it is unlikely to be repaid in full but that special collection efforts might eventually result in partial recovery. Bad: A loan is considered as bad when it is very unlikely that the loan can be recovered. Good loans are classified as un-classified loans. Naturally depth of risk is more in doubtful or bad loans than unclassified ones. In order to get competitive advantage and to deliver quality service, top management should to modify the services. As there is no classified loan, branch should monitor the loans & advances closely to avoid classification in future. Dhanmondi Branch should extend with their all out effort to increase the credit portfolio and to procure more low cash deposit, increase non funded business so as to minimize dependency on interest earning from IFIC Bank general account and to improve overall business performance of the branch to maintain earning. Dhanmondi Branch should set up more CC camera in the branch to hold more control of manager in the branch. It can install CC camera in accounts department and clearing department as it is an important past of the branch and it is not always possible for the manager to visit all departments which has become important. Dhanmondi Branch can contact with the existing customers to make the dormant accounts operative. When a joint stock company comes to open an account if it’s an existing one, the account opening officer should ask the copies of the Balance Sheet and Income Statement. These will reflect the financial growth of the company and its soundness but in practice bank do not do this. If they have all these that will help them to examine money laundering risk. There are numbers of new private banks and some have already activated with their extended customer service pattern in a completely competitive market. Where as IFIC Dhanmondi branch is far behind. They are not competitive in customer service because the officers do not behave in professional manner in fort of customer. Some time they are late in there service, which ultimately disturbs the respective customer. Dhanmondi branch personnel should train up about all sort of information regarding SWIFT and its service. Due to lack of proper knowledge about the operation procedures and services provided to the customers by SWIFT, certain customers are facing problem, as they have to wait for certain time to get service as there was one officer know about the procedure of SWIFT. He is not fully independent of handling SWIFT. Official training is the solution to this problem. For customer’s convenience in Foreign Exchange Department of IFIC Bank Ltd. should provide more personnel to deliver faster services to their honorable customer. Now a day conventional banking concept is outmoded. Now banks are offering more ancillary services like credit card, online services and many others. IFIC Bank Ltd. should differentiate its services through adopting the modern facilities and implementing in the branch level. To deliver quality service top management of this breach should try to mitigate the gap between customer’s expectation and employee’s perception and customer’s convenience should give priority. Administrative cost of this branch is on the high side, which has a major impact on profitability. Te manager should bring down the administrative cost and take all effective steps, strategy and action plan to reduce the cost at the desired level. IFIC Bank should always monitor the performance of its competitors in the field of Foreign Trade. Without proper knowledge in different laws, rules which set by Bangladesh Bank efficiency of employees cannot be optimize. Bank can arrange training program on these subjects and can test its employees which will improve their qualities. IFIC Bank Ltd. should focus on their promotional activities. They should also focus on the marketing aspects to let customers know about their products and offerings and more promotion is should be given to attract new customer. IFIC Bank Ltd. must develop electronic banking system to moderate the service. Technological advantage of a bank ensuring its competitive edge in the market place which can only be achieved by improved technology, efficient manpower and better services. If bank get more market share through all these than it will reduce operating cost and generate new revenue. The bank can offer to its customer better service if all of its departments are computerized and incorporated under local area network (LAN). Without using modern technology no bank can even think of remaining in the business in near future. So the bank must decide right now how it can equip its branches with modern technology. Use of modern technology in one sense can increase cost but another sense it increase higher productivity and it attract big clients. It can introduce ATM service again in all branches which will bring speed in banking services. Bank is providing both internal and external training for the officers but bank should be scrupulous about the training facilities so that officials can implicate this in their job. People are very choosy about environment now a day, so bank premises should be well decorated and IFIC Bank Ltd. should look into the matter very seriously as well. Side by side it will give customers better felling about the bank. Time consumed at service level should be minimized at optimum level. Evaluate customer’s needs from their perspective and explain logically the shortcomings. Customer’s convenience should receive priority over other. Improve office atmosphere to give customers better feeling. Use of effective management information systems. Use appropriate techniques in evaluating customer need professionally. To deliver quality service top management should try to mitigate the gap between customer’s expectation and employee’s perception. The bank can offer to its customer better service if all of its departments are computerized and incorporated under local area network (LAN). At the entry position the bank should enroll more expertise people to augment quality services. Now a days-conventional banking concept is outmoded. Now banks are offering more ancillary services like credit card, on line services and many others. IFIC Bank Ltd. should differentiate its services adopting the modern facilities. Bank is providing both internal and external training for the officers but bank should be scrupulous about the training facilities so that official can implicate this in their job. People are very choosy about environment now a day, so bank premises should be well decorated and IFIC Bank Ltd. should look into the matter very seriously. Bank should provide advances towards the true entrepreneur with reconsidering conventional system of security and collateral, moreover, the whole process should be completed within an acceptable time. The Banking sector in any country plays an important role in economic activities. Bangladesh is no exception of that. As because it’s financial development and economic development are closely related. That is why the private commercial banks are playing significant role in this regard. This report focused on and analyzed Operational Performance of IFIC Bank Limited, Dhanmondi Branch. IFIC Bank Limited is a new bank in Bangladesh but its contribution in socio-economic prospect of Bangladesh has the greater significance. Total deposit of IFIC Branch was Tk.50017.96 million as on 31st December 2009, whereas total Loans and Advances were Tk 37793.89 million. Here we observe its deposit figure is not so strong, so the bank should take necessary action for increasing deposit promptly. IFIC attaining offer special deposit scheme with higher benefits, which is a crying need for long-term position in financial market. Because of the entrance of more banks in the financial market, deposits will be spreaded over. So it is high time to hold some permanent customers by offering special deposit scheme otherwise in future amount of deposit may come down. To strengthen the future prospect of branch, it is emergency to collect more deposit. Comparably the IFIC’s local remittance is less than the other banks because of less number of branches. IFIC should extend its branches to become a sustainable financial institution in this country. Yet last year IFIC has obtained second position in CAMEL rating. As a new branch Dhanmondi Branch of IFIC has been able to maintain its recovery position in sector-wise credit financing is up to the satisfactory level. At last it should give more emphasis in this sector to acquire more profit. Performance Evaluation of Titas Gas Transmission and Distribution Company Limited.